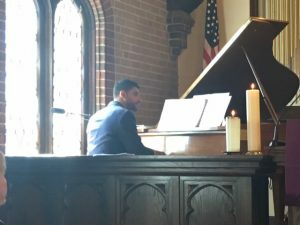 What is a Cantata? A cantata is a vocal composition with an instrumental accompaniment, typically in several movements, often involving a choir. 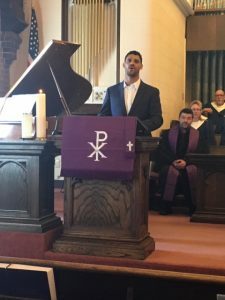 FPCL celebrated on April 7th with its annual Lenten Cantata. This year’s Cantata was a series of anthems “At His Name” composed by Joel Raney performed by FPCL’s Chancel Choir. 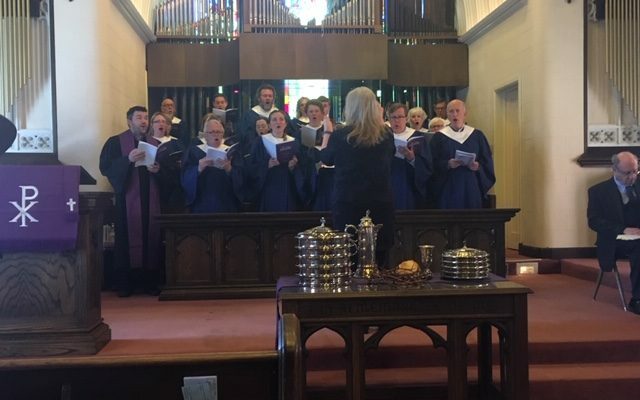 The program was directed by FPCL Worship Arts Director, Mary Dailey; narrated by member Bill Frear; and we were joined by a special guest accompanist, Andrew Fischer.